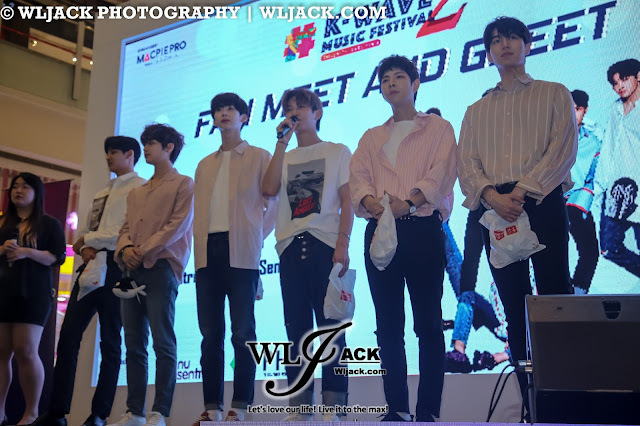 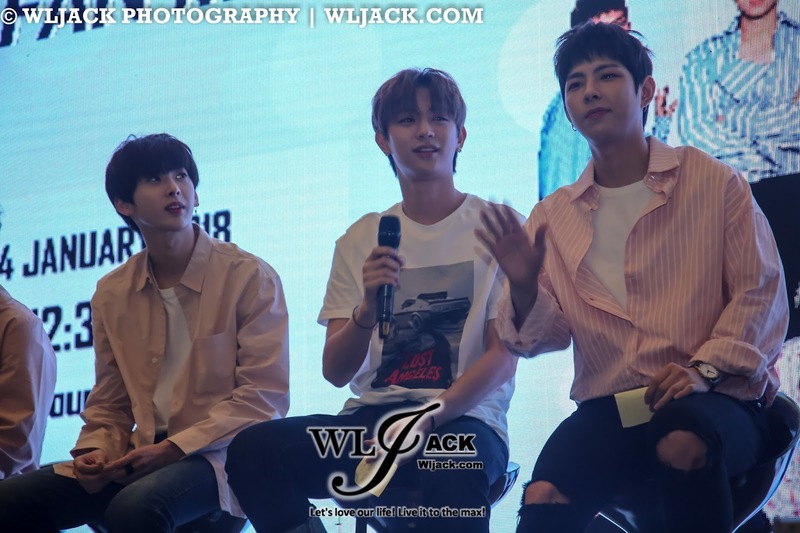 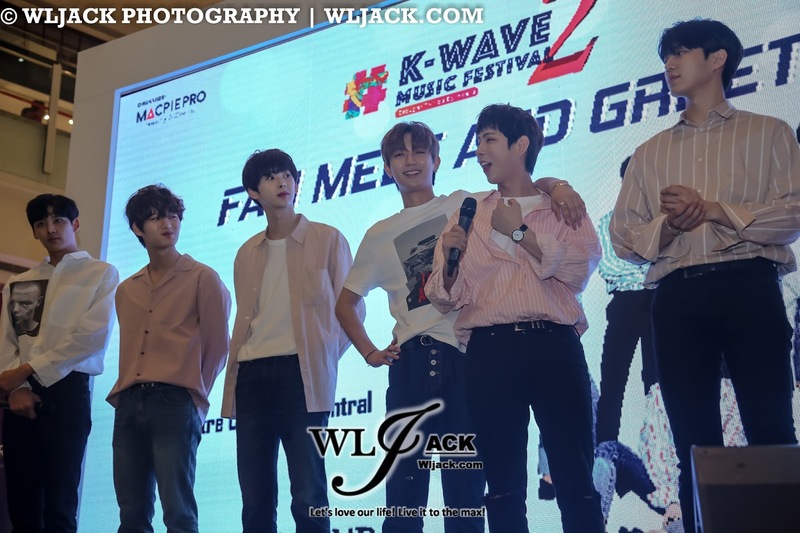 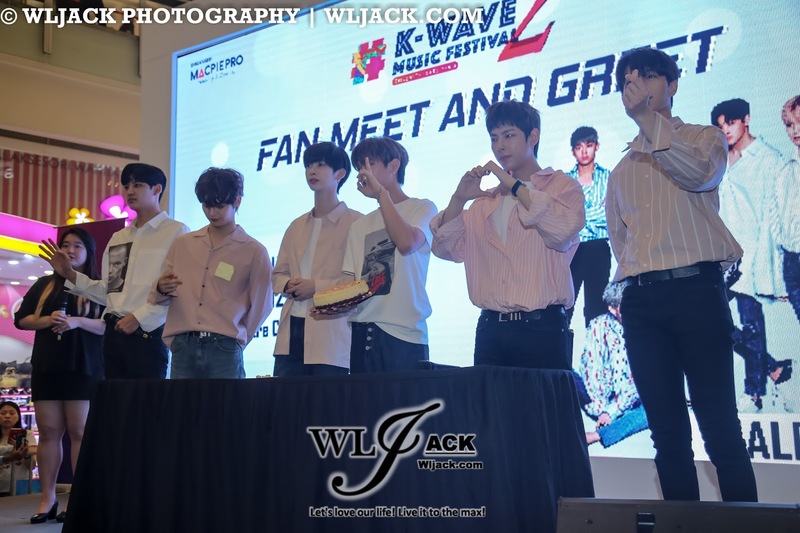 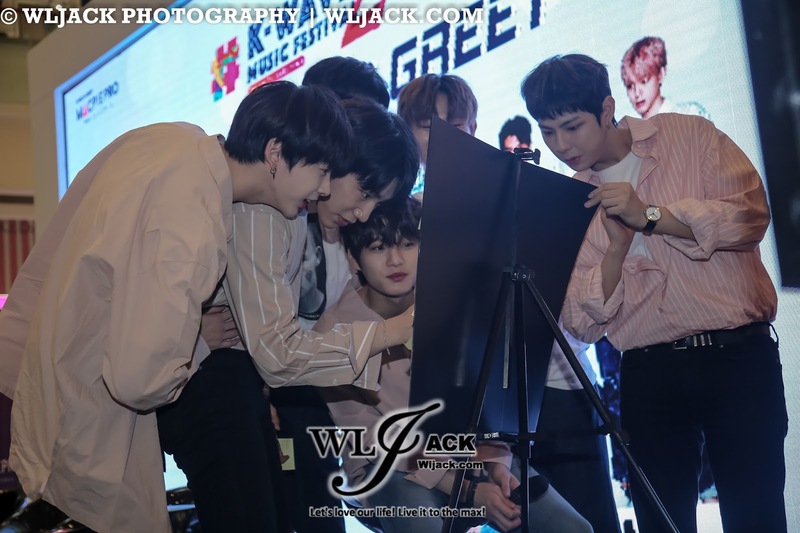 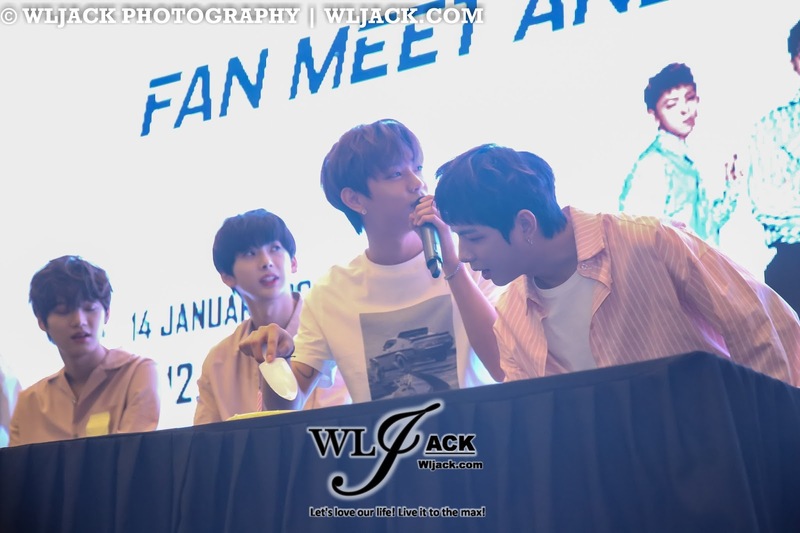 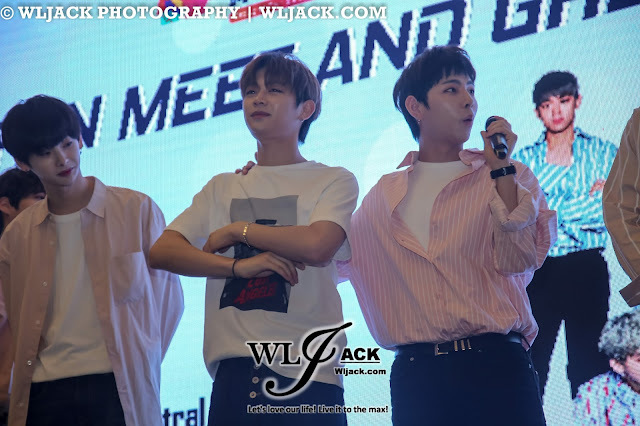 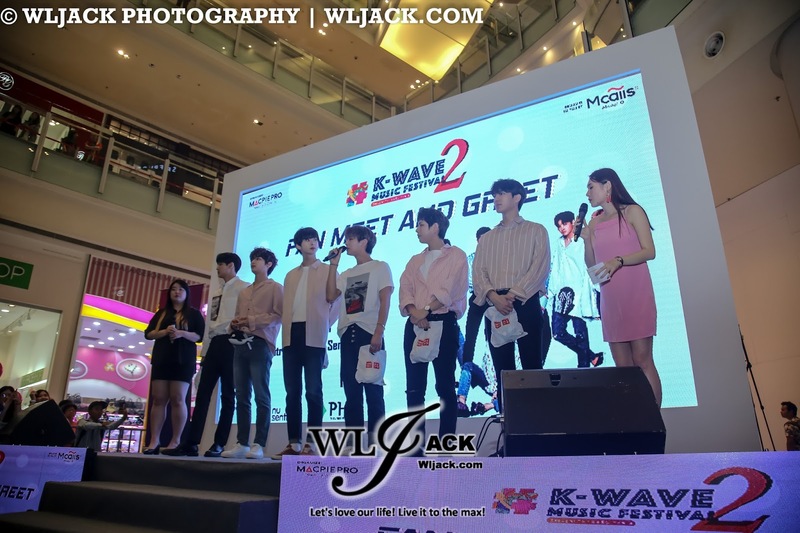 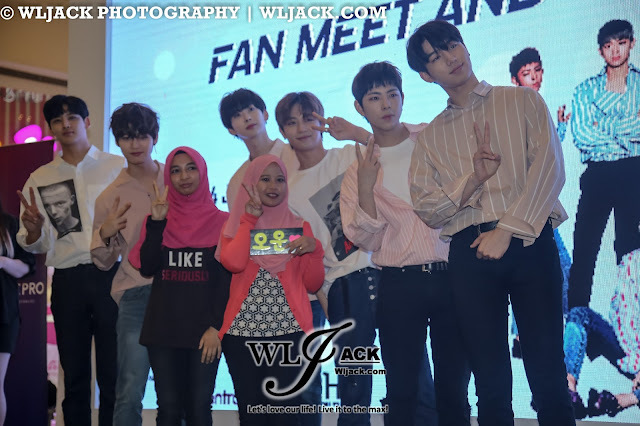 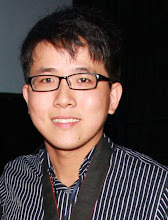 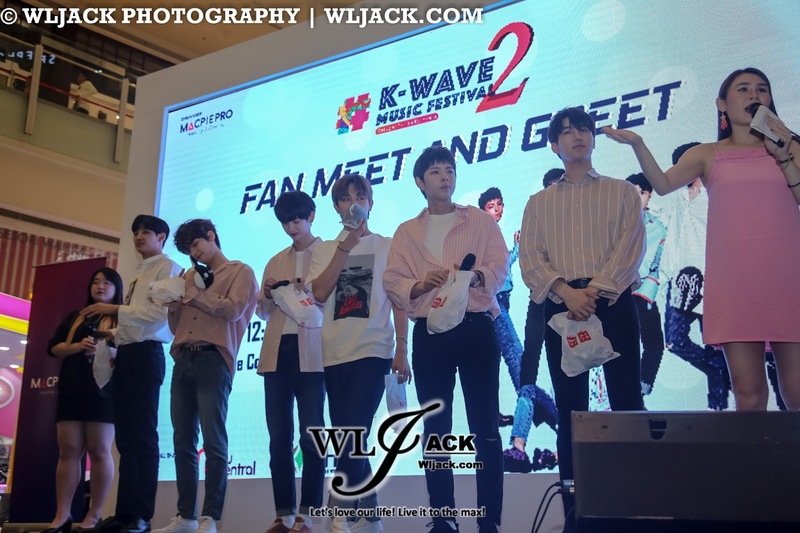 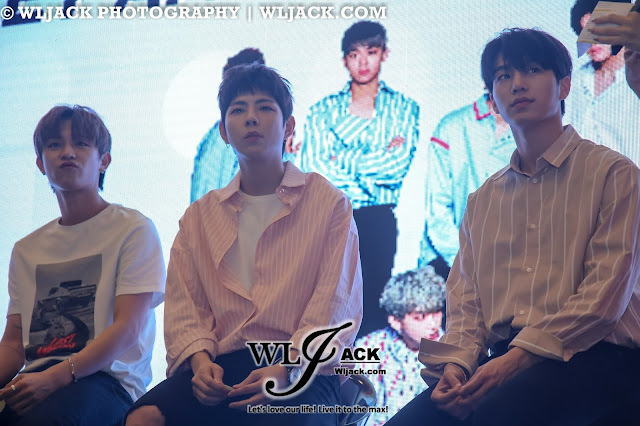 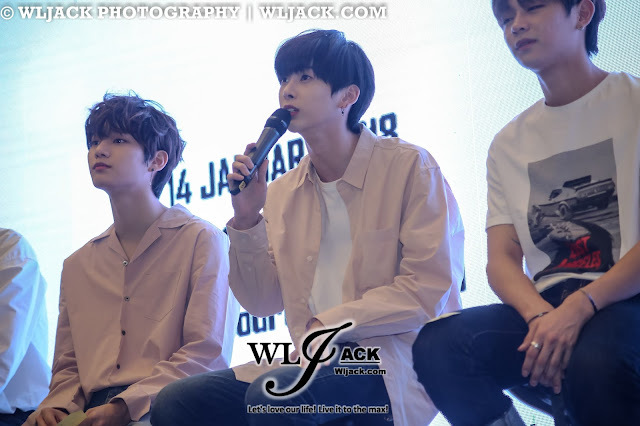 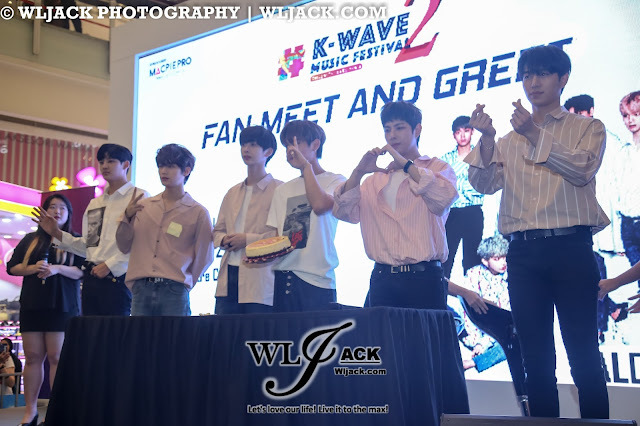 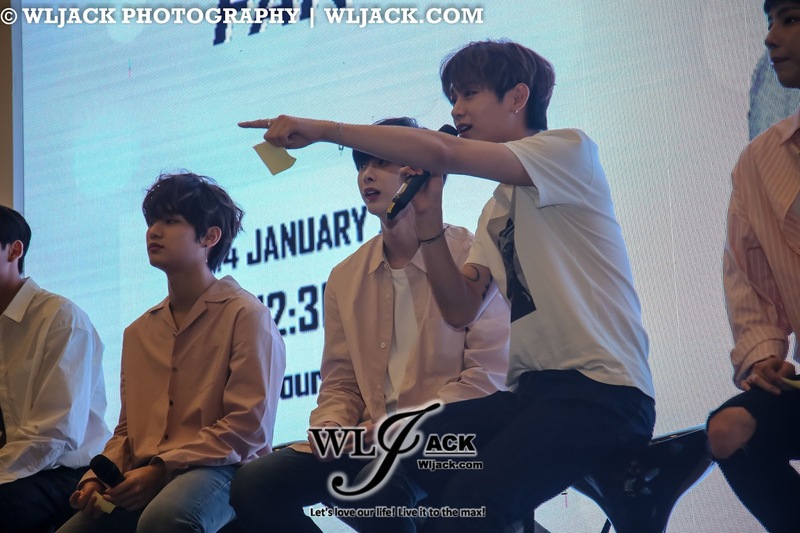 Kuala Lumpur, January 2018 – A day after the eventful K-WAVE 2 MUSIC FESTIVAL “Brought To You By” Mcalls (Check out the coverage: http://www.wljack.com/2018/01/concert-coverage-k-wave-2-music.html ), there was a Meet and Greet Session with HALO at NU Sentral, Kuala Lumpur on 14th January 2018! 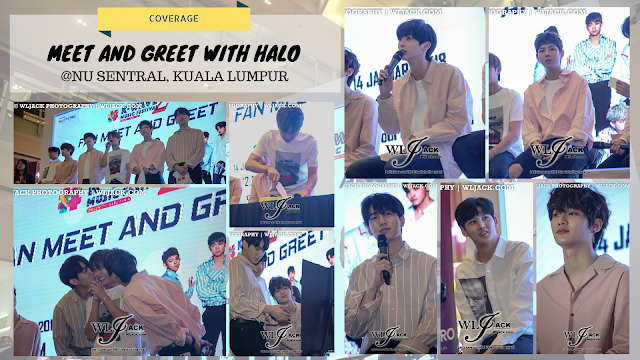 HALO (Hexagon of Absolute Light and Organization), the 6-members boy group has been very sporting during the meet and greet. 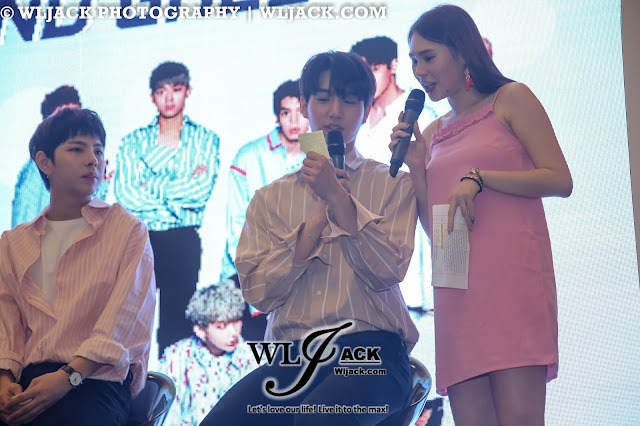 They even sang the chorus of one of their songs as a throwback for the concert which has just happened a day ago. 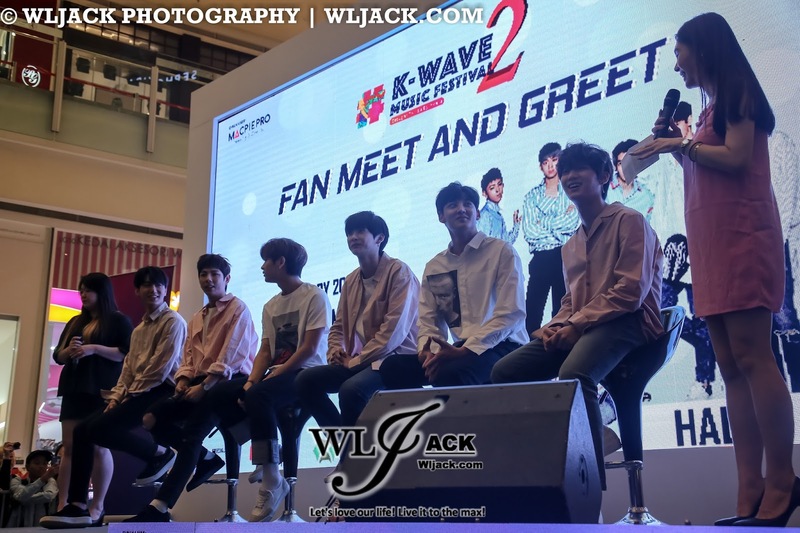 They have proceeded with the Q&A session whereby they responded to the fans’ questions and request. 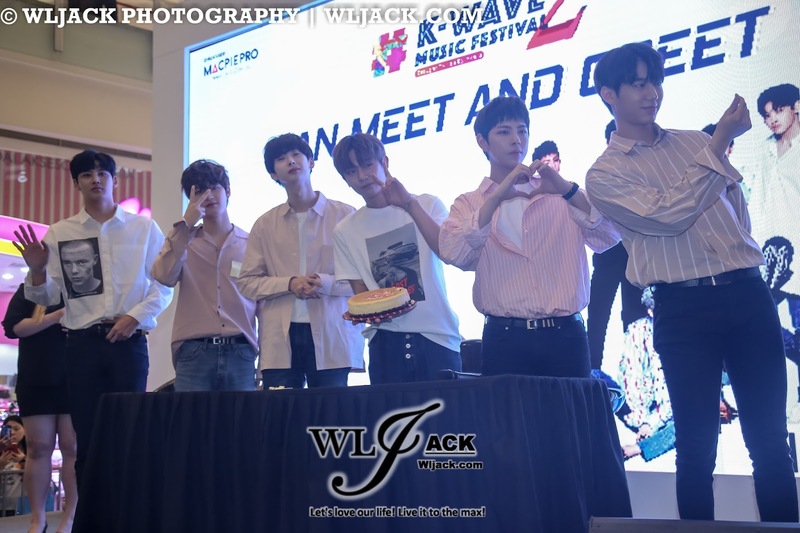 One of the fans’ request was for HALO to sing “Baby Shark” song on stage. 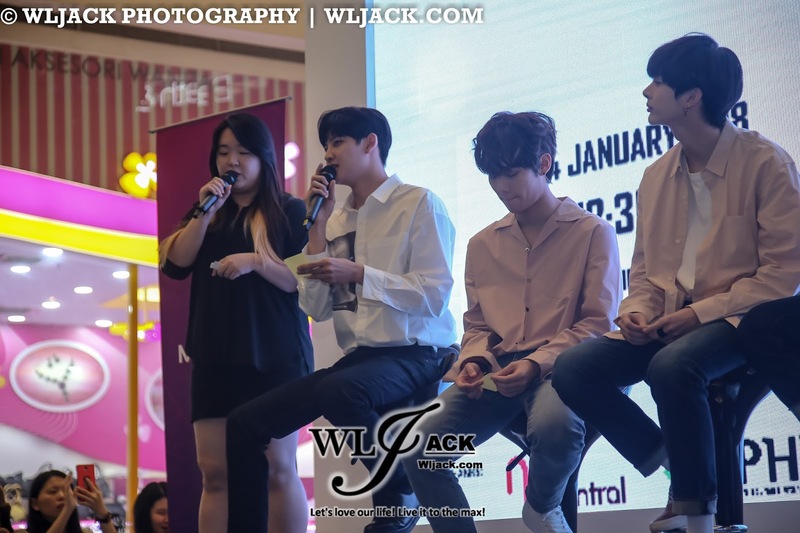 In response to that, they have sang the chorus of the song as per requested. Such a nice fans-servicing! 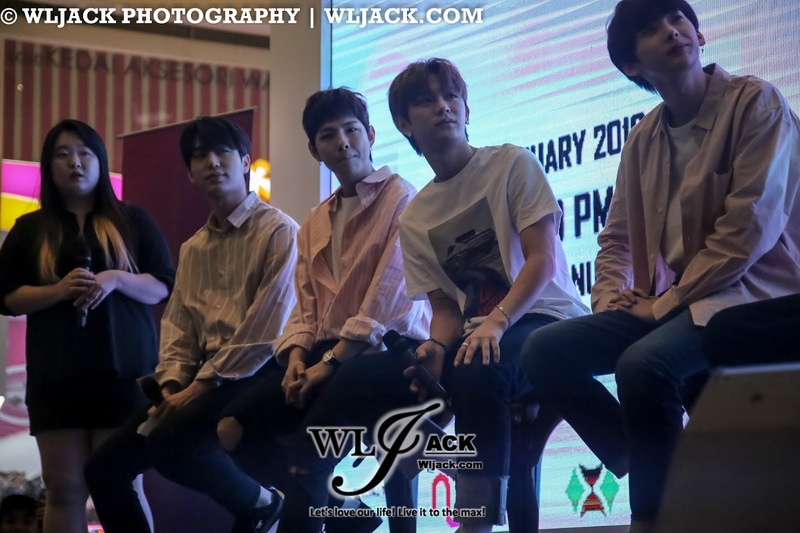 Apart from that, the boys also mentioned that they really indulged Malaysian food such as Nasi Lemak, Satay and Laksa. Another highlight of the meet-and-greet session was the Birthday Surprise for OOON. 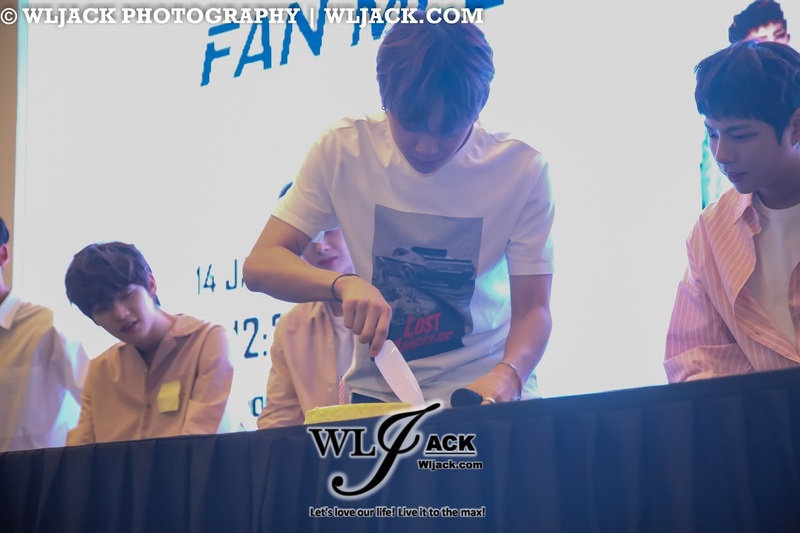 A Birthday cake was prepared for him and OOON has made his birthday wishes. 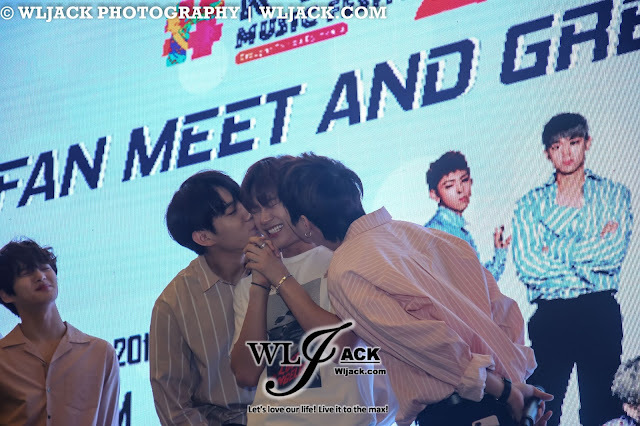 In addition to that, Jae Yong and Dino have also kissed OOON on his cheeks as they have promised. 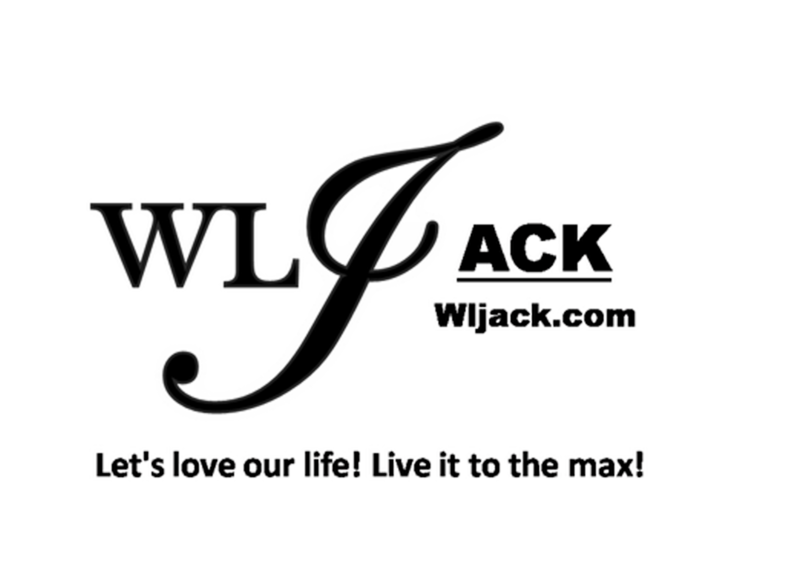 Like MacpiePro on Facebook at www.facebook.com/MacpiePro to look out for more updates!